Having a doggy means that you need to equip your new family member with all of the necessary accessories and equipment. 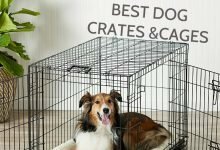 Doggy playpens, kennels, and crates are used widely by many puppy owners for house training doggy, but it can also serve as a safe place for your pet to rest in. And, not to mention the fact that kennels are crucial when you are leaving your doggy alone in the house, not only to keep your house from getting ruined but also for the safety of your furry friend. If used correctly, dogs do actually enjoy spending their time and resting in their kennel as it is a safe place of their own. There are many different types, designs, and sizes of small dog and puppy kennels on the market. You are able to purchase a large variety of plastic, metal, and even wooden playpens, which come in different sizes, price ranges and even colors. There are many different specifications to all of them and every pet kennel differs from one another. 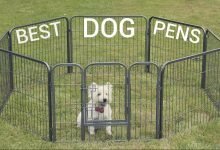 And you cannot really determine, which is the best out of all pet pens since each pet is different and will have different needs and preferences. Hence, to find the best kennel for your puppy you need to look at the behavior, habits, and preferences of your dog and think about the best option individually. As the kennels which are highly recommended for calm and behaved dog, will not work great for extremely active puppies, who are great escape artists. So, to help you find the best small to medium dog kennel, here is a list of the best ones. The Advantek small and medium-sized kennels are a low-profile design pet kennels, which provide maximum protection for your pet, in order to keep your furry friend secure and safe. 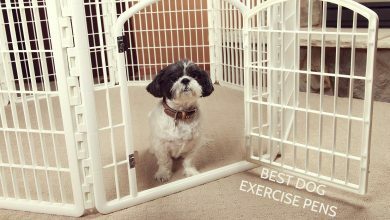 These kennels for small dogs are a simple and great way how to provide safe and comfortable space for your pet outdoors and indoors. Advantek small dog kennel is easy and will take little time and effort, as there are no tools required for assembling. And if you have multiple of the Advantek kennels for small dogs they can be attached together in order to create a larger play area. Although the Advantek puppy kennel has a carry tote bag, it has to be bought separately, which adds to the expenses. Also, there is an additional nesting box, which also has to be bought separately if necessary. But, if you have a puppy, it is not needed, as the main purpose of the nesting box is for chickens to lay their eggs. All in all, the Advantek small dog kennel is easy to set up and lightweight. You can move it around and take it with you if necessary. The stylish design and weather resistant cover make it even more demanded and popular among customers. 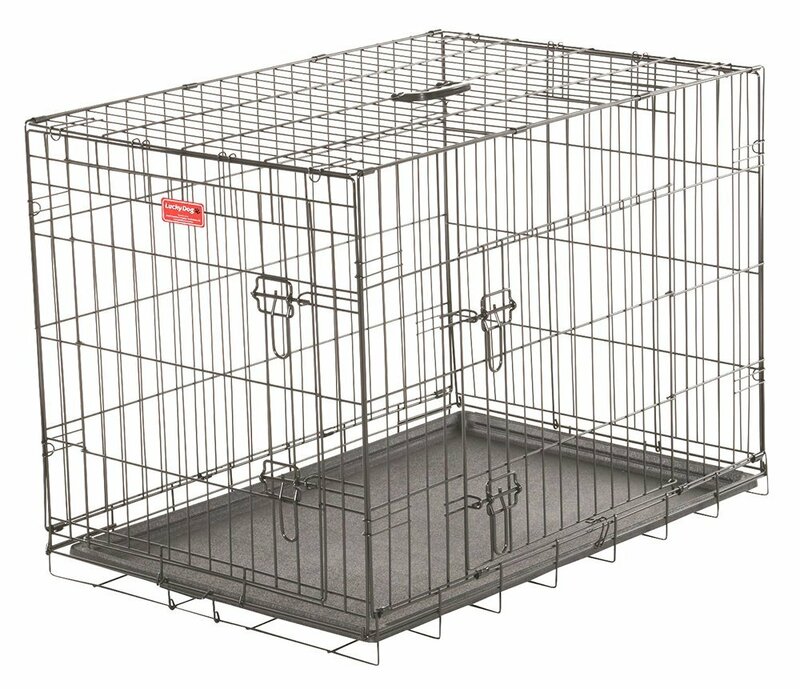 The Petmate two-door puppy kennel is a secure and safe puppy pen, which can be used indoors and outdoors. The doors are safe and will keep your doggy in, as they have a five-point locking system, eliminating any gaps in the top, sides, and middles of the door. The Petmate medium dog kennel can be used for different purposes, including training and disciplining your furry friend. It is easy to set up the Petmate small dog kennel, as there are no tools required for the assembling. 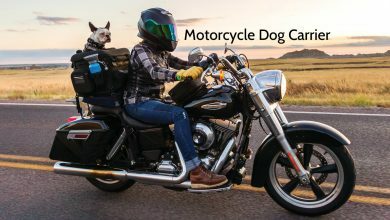 Moreover, the kennel folds almost completely flat for storage and transportation, so you can take it with you on trips. This pen is going to be long-lasting as it has a rust-resistant coating which increases the life of the crate. And the manufacturer also has included a free divider panel, which is removable and easy to clean. Using the divider panel you are able to adjust the size of the playpen accordingly to the size of your furry friend. The Walcut small dog kennel is heavy duty steel framed pet pen, which is strong and durable. The playpen is equipped with four casters, which are installed in order to ease the moving and make the kennel portable. The double door design on the medium dog kennel ensures easier access in the kennel for your pet and even for the owner. The doors are equipped with a two latch system, to keep your puppy securely in the playpen. And, the Walcut puppy kennel can be taken with you anywhere, as it not only sets up easily but also folds down almost completely flat, so that the pen takes up as little space as possible. And, you can use the pen for many different doggy breeds, as long as they are small or medium-sized doggies. 37 inch: 36.3 inches in length x 24.2 inches in width x 29.1 inches in height, 52.5 lbs. 42 inch: 41.7 inches in length x 29.1 inches in width x 33.5 inches in height, 64.4 lbs. 48 inch: 48.8 inches in length x 33 inches in width x 37 inches in height, 92.54 lbs. The Lucky dog kennel is made from heavy-duty welded steel wires, creating a strong and durable puppy pen. The wire construction of the lucky dog kennel is not only sturdy but also durable as the wires are coated with an anti-rust E-coating. The kennel has two swinging doors, which ensure easy in and out access to the kennel, and allows you to place the pen in many different positions. A Lucky dog kennel is also very easy to set up and take down, and it is easy to clean and maintain it. 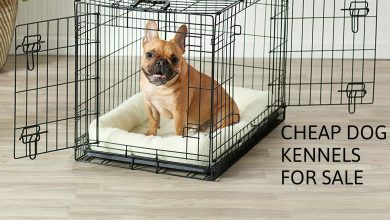 The leak-proof, removable pan and rubber mat allow you to take care of the kennel even when you have your pets inside it. But, the steel wires which are used in manufacturing are thin and fragile, therefore, if you have extremely active and strong doggy, the Lucky dog kennel is not going to be the best choice for your needs. But, despite the issue with the thin steel bars, this pet pen is great for calmer or slightly older doggies. 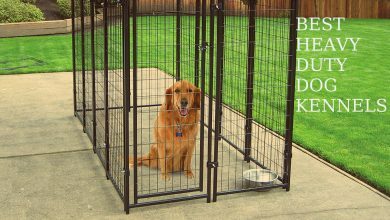 The manufacturer has also included a puppy divider which adjusts the size of the kennel accordingly to the size of your doggy. And, because the playpen can be used indoors and outdoors, the manufacturer has also included four rubber feet for when used indoors. To safely keep the kennel in one place and avoid sliding. The Top Pet kennel comes in four different colors – maroon red, moss green, dark blue and beige. These kennels can be used indoors and outdoors, depending on the puppies or on the owner’s needs. You will not need to spend a lot of time assembling or taking apart the pet playpen, as it folds quickly down, and takes up little space for storage or for transportation. And, because kennel comes pre-assembled, there are no tools necessary for assembling. Therefore you can take the Top Pet kennels with you when you are traveling or even going camping. And the top and bottom parts of the kennel can be removed, so the kennel is also easy to clean and maintain. But, the Top Pet kennels are made from soft materials, therefore they are suitable for small or middle-sized doggies. And because the material is not steel, this kennel will not be able to contain strong and very active pets. Overall, small and medium dog kennels are going to be beneficial and needed not only to the comfort of the owner but also for the safety of your doggy. You will not only need to restrain your dog from a certain backyard or house areas, In order to avoid getting your furniture ruined, but also dogs can obtain different injuries outdoors and even indoors. Hence, kennels and playpens are used to provide safety and security. Made for smaller dog breeds. The Best Pet powder coated small dog kennel is a string and durable pet playpen, which can be used indoors and outdoors. This puppy kennel also has a slide out plastic tray, which can be taken out even when your pet is in the kennel. And, the slide-out plastic tray helps you to keep the pet pen clean and dry at all times. There are two color options available – black and blue, and the powdered color finish keeps the kennel long-lasting and ensures it does not rust or the color does not fade away easily. The Best Pet small dog kennel is versatile and can be used for different purposes and in different situations for a low price. All in all, the kennel is not designed for very active pets, or those who are escape artists. Also, as it comes only in one size, the Best Pet medium sized dog kennel will be suitable only for smaller doggy breeds. But, despite the size, this is a great value product, which will be long-lasting and helpful. 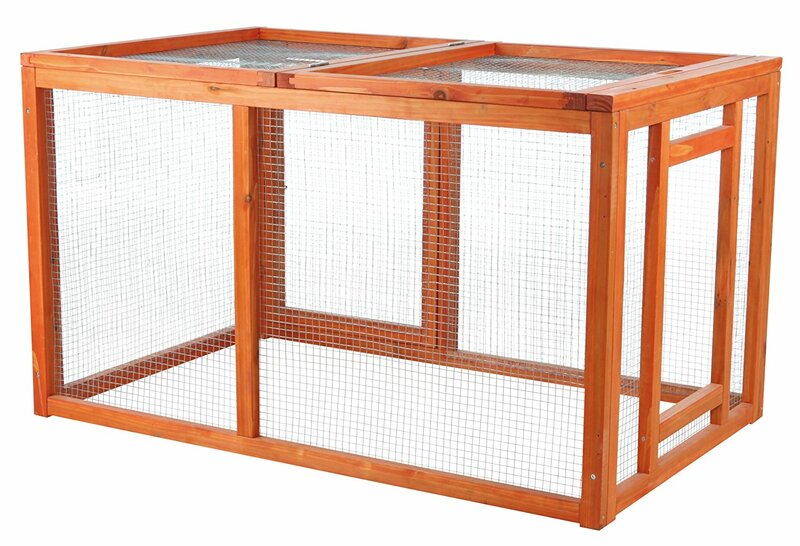 The medium dog kennel manufactured by Trixie is an indoor and outdoor pet playpen. These kennels can be used for many different pets, including doggies, cats, and even chickens. Although the size of the kennel is quite small, it is suitable for small or even medium sized doggy breeds and will provide enough room for them. This medium dog kennel is easy to set up as it will take less than half an hour. A mesh cover is included, which covers up the side and protects from outside influences. There is also a large side door, for easier access, with a slide latches on the door. But, the kennel is made out of wood contraction, hence, why doggies which have a chewing problem will not be safe in the Trixie pet kennel as they are going to be able to chew their way out. 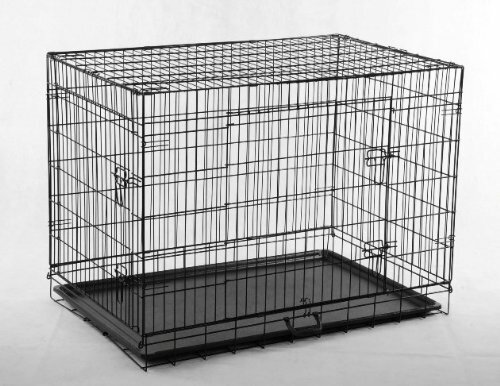 All in all, the kennel is nice and will hold your small or medium sized pet well, providing enough room. The kennel will also take up little space when folded up, as it is a huge bonus when you are storing or transporting your pet playpen. 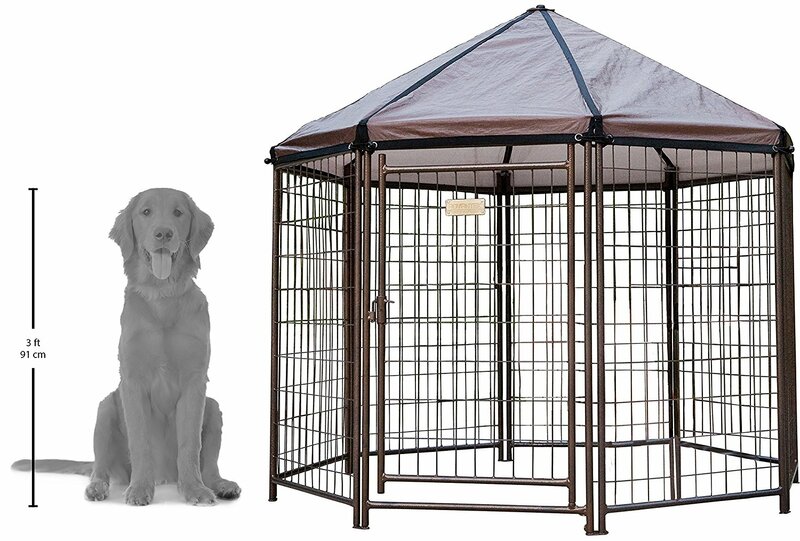 Chain Link small dog kennel is designed for indoors and outdoors use, and will keep your furry friend safe and secure. These kennels are lighter in weight, therefore they are easier to transport and store, but, it means that very active pets can get out of the kennel using force. But, despite the lightweight design, these kennels are very popular, as they are easy to set up and take down again. You will have to spend little time assembling the Chain Link puppy kennel as it comes already pre-assembled and does not need any tools for assembling. Manufacturers have included a polyethylene sunscreen cover, which will protect doggy from direct sun rays, and even protect your pup when it is raining or snowing. The unique patented design, of the puppy kennel, features round corners, that make the set up easier and the playpen safer for the pet. 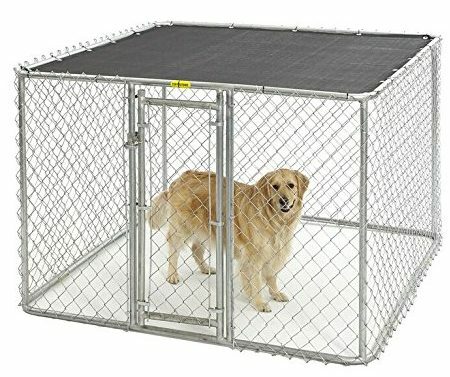 Overall, the Chain Link pet kennel is great, but only for smaller doggies which are not extremely active and known for breaking out of the kennel. If your dog is able to break out of the playpens and kennels, then a heavier and stronger kennel will be needed. The Best Pet three-door folding small dog kennel is easy to set up and take down, as it does not require any tools for assembling and comes already pre-assembled. 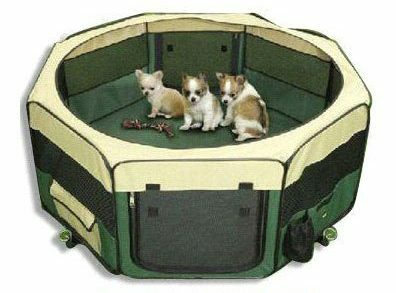 You are able to take the medium sized dog kennel with you on trips or wherever you go. Although the size of this puppy kennel is thirty inches, it is longer, wider and taller than most of the thirty-inch playpens, providing your doggy with more space. 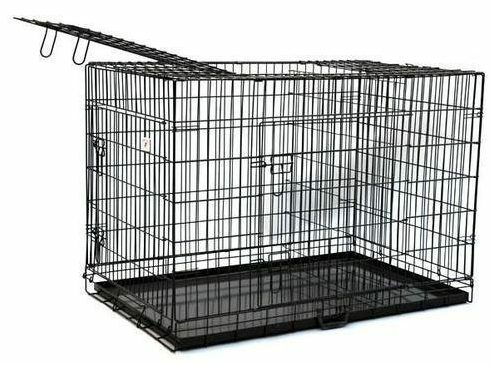 The rounded edges ensure that there are no accidents and the kennel is safe for humans and animals, and to avoid any possible accidents which may occur. 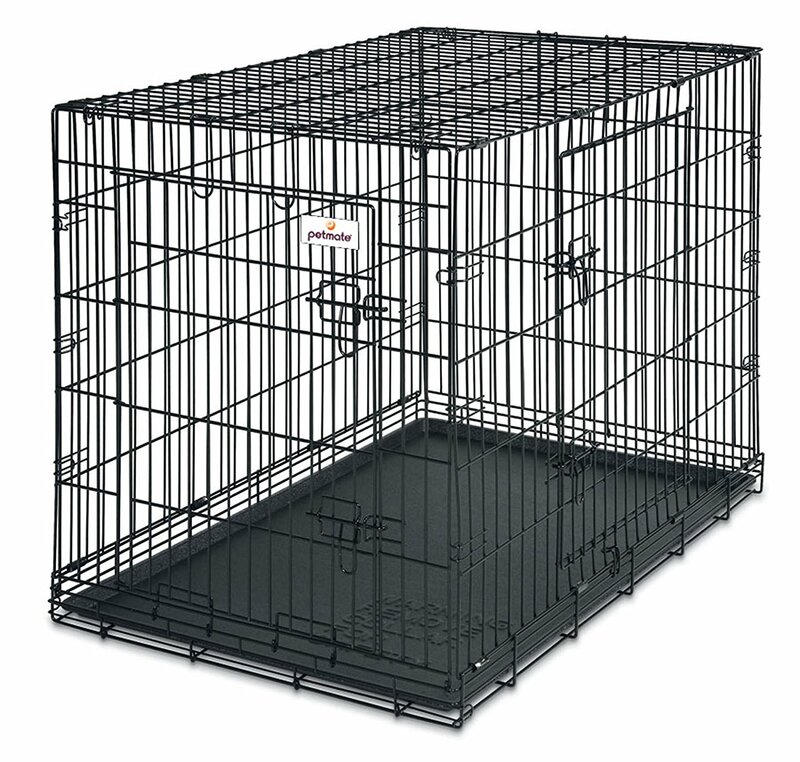 The three-door design provides easier access into the kennel for the owner and for the pets. The latches on the doors make it more secure and ensure that your puppy will stay in the playpen. Similarly to other small and medium doggy kennels, the Best Pet three-door small dog kennel has a removable, slide-out tray, which eases the cleaning and maintaining process. 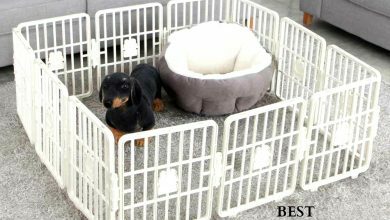 But, even though this is durable and long-lasting pet kennel, the playpen is quite heavy due to the heavy-duty steel wires used in manufacturing. When it comes to the designs, pet kennels come in many different colors, styles, sizes and even materials used in manufacturing differ. To find the right one and the perfect fit for your pet, you have to consider the size and habits of your furry friend. Active pets are going to require a more secure and stable pen. But, calmer dogs can be kept in a more fragile and lightweight kennels. Overall, you have to take into consideration the needs and character of your dog before purchasing a pet kennel. And as long as you do so, you will make an appropriate and long-lasting purchase.